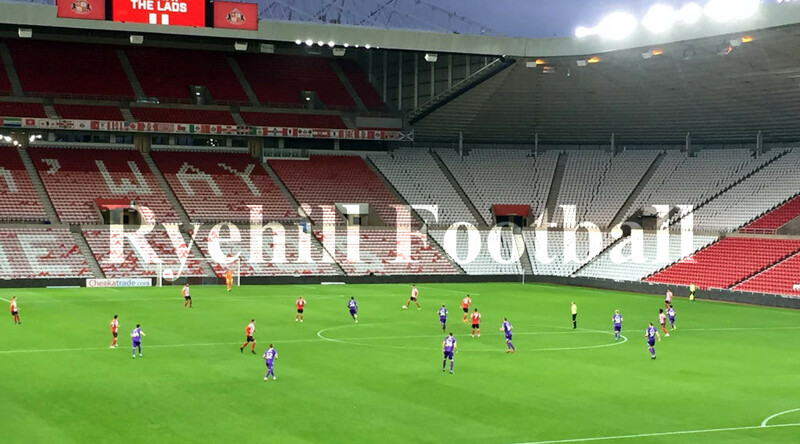 What started out as a fairly mundane game ended up as an enjoyable evening as Sunderland did what they rarely seem to do, win a penalty shootout, this time 4 v 2 following a 0 v 0 draw after 90 minutes against Stoke City’s under 21 side, featuring an evergreen Charlie Adam. Sunderland really only had themselves to blame that it went this far as they missed some glorious chances, in both halves, to sew it up long before the final whistle sounded. The match was watched by an impressive 7,644. Stoke City, watched by 20 of their loyalist fans, housed in the South Stand, made the home side fight for the win and had sporadic moments where they too could have snatched a goal. The first half was fairly even but came alive for Sunderland with 5 minutes of the half remaining, where 3 chances in as many minutes were wasted. The Black Cats fielded some of the first eleven, including the likes of Ozturk, Charlie Wyke and Josh Maja, but it was Denver Hume; who started slowly and playing on the wrong wing, who as the game progressed caught the eye. Excellent going forward, not so good defending, he was always a willing recipient of the ball and had a cracking effort saved on 63 minutes. Man of the match for Sunderland was the always impressive Tom Flanagan. Benjamin Kimpioka and Jerome Sinclair came on in the second half and made an impression with the latter always a livewire although Kimpioka missed trumpantly at the North Stand from 2 yards, when it was easier to score than miss. We also had time to watch a Chris Maguire free kick come back off the bar. At the end of 90 minutes it was all square 0 v 0. So we had a point in the bag but could we secure an extra point with a penalty shootout win? It was never in doubt as Stoke fluffed their first 2 and Sunderland scored all of theirs to run out 4 v 2 on penalties with Hume scoring the decisive spot kick. Fleetwood Town is next up at the Stadium Of Light but one eye on the next game at home to Carlisle in the Checkatrade Trophy as we launch an assault on a Wembley final. Ryehill Football will be there on satuirday to hopefully witness 3 points for the red and whites. 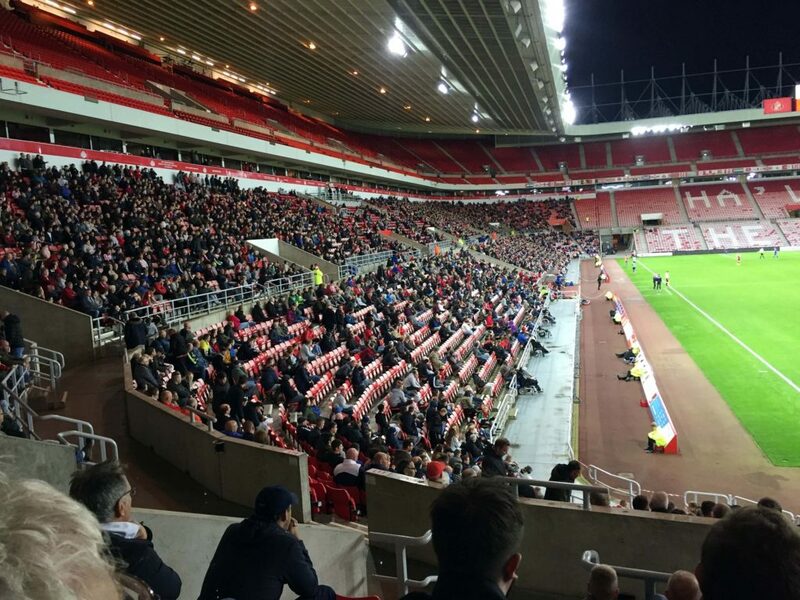 However it was a good night for Sunderland tonight. Well played Jack Ross’s men!